The All-Sun DT 266 is a portable multimedia primarily used for electrical diagnostic applications. The unit runs off a single 9-volt battery, which allows for up to 200 hours of operating use. The transformer jaws mounted on top of the All-Sun DT 266 can accurately measure the amount of the AC current flowing through a particular conductor. The clamp feature provides a quick and easy way of measuring current without the need to probe live electrically charged wiring directly, using conventional probes. Press the "Data Hold" button, located on the top right of the device, to unlock the display screen, if applicable. Switch the main dial to the required range for your particular diagnostic application, under the fields labeled "ACA." Press the clamp trigger located on the top left side of the device to open the clamps. Position the clamp over the live wire or conductor and release the clamp trigger to read the current of the particular conductor. Do not attempt to clamp on to more than one wire or conductor at a time. 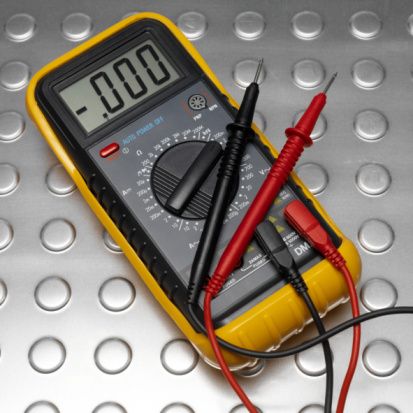 Examine the LCD display to determine the amount of the AC current flowing through the conductor.